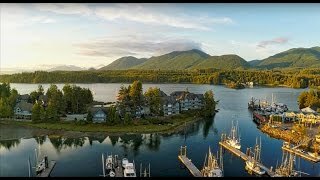 Come escape to the only property with access to both the serene Ucluelet Inlet & bordering Marina from every suite! Each suite is carefully prepared by our staff before your arrival. We check you in, and let you enjoy the privacy of your suite. Enjoy the friendliness of Ucluelet’s culture. Water’s Edge is the only property with access to both the serene Ucluelet Harbour & bordering Marina from every Shoreside Suite. We are nestled on a peaceful island joined by a causeway within the Harbour. Nothing else compares. Stunning surroundings, breathtaking views. Come discover a true West Coast experience. Visitors enjoy discovering the wild, rugged coastal wilderness, miles of sandy beaches and ancient rainforests. Pets are welcomed! Spectacular panoramic views are guaranteed to leave you breathless. This is the resort of choice for those who want to kayak, surf, whale watch, fish, hike, storm watch or just get away from it all in a luxurious yet natural setting. Water’s Edge consistently receives 5 star reviews on Trip Advisor, and we’re just minutes from the top rated attraction on Vancouver Island; the Wild Pacific Trail. From stunning sunset walks on miles of beaches, to wild, winter storm watching, family vacations to romantic weekend escapes, you’ll be close to it all….Yet tucked away on a quiet peaceful private island. Finally, Water’s Edge houses one of Ucluelet’s best kept secrets – Nurture Day Spa. Nurture Day Spa embraces Aveda’s art and science of pure flower and plant essences, while offering an authentically West Coast and inspired spa journey. During your stay with us, disconnect and take the time to pamper yourself.